Fly Deal Fare Blog: Travel With Ease Have A Look Of Top Questions On Tourism In India! Have A Look Of Top Questions On Tourism In India! Traveling to India can be surprising to different travelers especially for the Americans. And there are a number of queries and questions on Tourism in India which need to be answered. 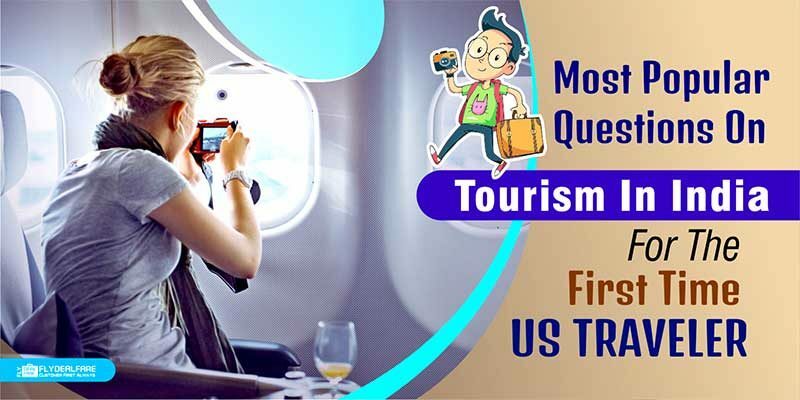 Hence here we are discussing the top questions which will surely prove helpful for the first time US traveler who want to have a tour of the various spots in India. Query 1) Is it necessary to carry a Visa to travel in India? There is the availability of 60-day visa on arrival for select countries in regards to traveling in India. Interested travelers can use the iVisa which will allow them to travel in India without dealing directly with the government. Nowadays, you can actually clear your visa formalities without going directly to the office. All you need to do is to mail them your passport. The first time applicants may find this process a little tricky but it is totally normal. Take care that your respective passport must have at least six months left before expiration. Along with that, you should also know that your Visa will last six months from the time it is made and it is not based upon the time you enter the country. Query 2) Which airline should be best to fly to India? Talking about the airline which is the cheapest airline to travel to India, one must consider adopting the low-cost carriers. From the US, it is always preferable to travelers to take over great deals with United Airlines or British Airlines. By signing up with Star Alliance, you can also gain points. If you are looking for the last minute bookings for return flights, then Air France will offer you the best options regarding cheap airfares. Query 3) Do there is a need of travel insurance or are hospitals cheap in India? YES, you need the travel insurance. Traveling in India may not be so easy for a number of people hence having travel insurance is a must. In case, you got sick in India multiple times, then having insurance is a good way to feel safe and secure when they say you need extra testing done. Query 4) Do Indians speak English or One needs to learn the regional language? Well, if you want to know about the speaking of English language, you will find many people speaking good English especially in big cities and tourist towns. But if you are interested to visit the rural areas, then people out there may speak English only a little. Query 5) Which port should one fly into? Well, talking about the best port to travel to India, this depends on your chosen itinerary in India. Most likely, the passengers enter through Delhi’s Indira Gandhi International Airport or Mumbai’s Chhatrapati Shivaji International Airport. You can easily find the budget airlines in India and travel from the USA to Mumbai and back would be the best option to grab for Americans. You can easily find domestic as well as international flights from the Delhi, Mumbai, and other major airports in India. Along with that, you can also take a free shuttle between to the two to get to your connecting flight. While leaving India, make sure that you are clear about the airport to go to. One of the best tips for the first time travelers regarding the questions on travel and tourism in India is that you must have a ticket (printed or on your phone) to enter most of the airports in India. Another thing which is very common at Indian airports is that the line to the counter is long and you may get your bags checked often times. Query 6) I don’t want to go to touristy places. I want a unique experience. What places are the best to do so? Leaving the tourists spots behind, if you want to visit some place to get a unique and unforgettable experience, then India would be a perfect pick for that. It is unbelievably unique and intense. Initially, avoid trying out random places on a map. If you are traveling to India for the very first time, then except visiting the rural places, take a glimpse of the “touristy” places. It will give you an idea of the places, culture, and customs of the country. Then give a try to the untouched beauty of India as it offers a lot to explore. And for accommodation, try out the online websites to book hotels if you want to be in with the locals and not in the backpacking scene. You will get a good place to live in at a very competitive price. Query 7) Is it safe to travel alone as a girl in a country like India? Well, your gender does not make a difference when it comes to enjoying traveling in a country like India. It is totally safe in India. All you need to follow is the few tips in concern to travel questions and answers. Cities like Kerala, Chennai, etc. are totally safe and secure for girls. The southern part of the country is safer than the Northern part. Query 8) Are there ATM’s in India and do they accept foreign cards? How much cash should I withdrawal? In India, you will be able to find the ATM at most of the places. That means you can easily get access to a lot of ATMs while touring out different places in India. You can withdraw a maximum of Rs 10,000 from the ATM machine.